Teacher’s Comments: Pretty, well kept, and not overly difficult. 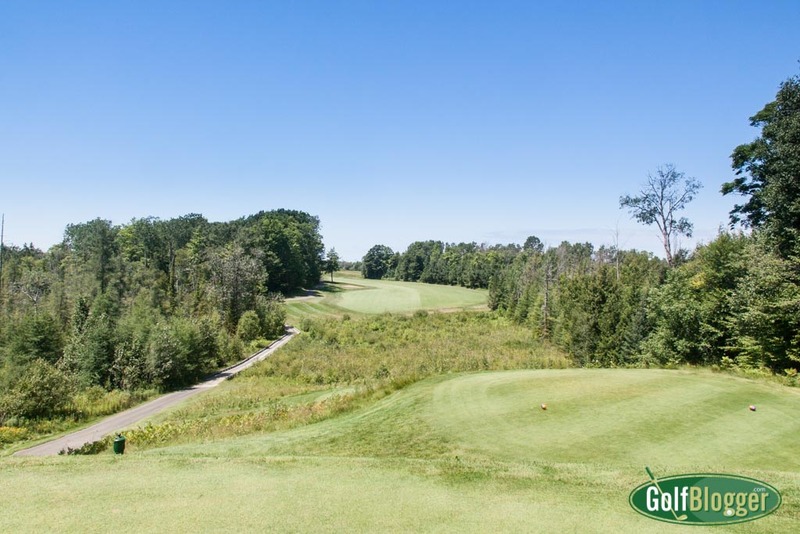 Perched on a bluff overlooking the Little Traverse Bay of Lake Michigan, Crooked Tree is one of the Boyne family of courses. I actually liked it better than the more famous Bay Harbor, which lies just a stone’s throw away. Designed by Arthur Hills, Crooked Tree winds its way through forest and over meadow, taking full advantage of dramatic elevation changes. 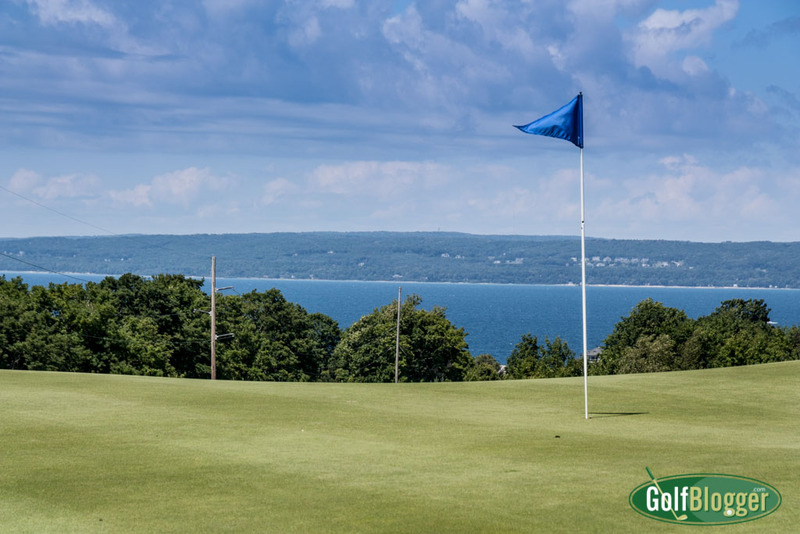 The course has some spectacular views of Little Traverse Bay, most notably on the 7th green, 8th hole and at the turn between the fifteenth and sixteenth hole. Crooked Tree is a generally friendly course. Fairways are wide and greens are on the large side. Forty-some bunkers dot the landscape and water come into play on five holes. I never really felt threatened by any of these, though. A half dozen holes require significant carries, but these tend to be from elevated tees. The carries should not be a real problem if you’re playing from the correct tees, and taking advantage of the large landing areas. The carries can be visually intimidating, though. My favorite hole was the 425 yard par 4 third. From an elevated tee, it requires a shot of at least 230 to clear the hazard. From the landing zone, the hole bends to the left, and climbs uphill to to the green. Holes one through three play through wooded areas. From there, Crooked Tree transitions slowly to more meadow until the back nine. Ten through fourteen are trees to one side or another, then Crooked Tree opens again to a more meadow-parklands layout. There are homes on the fringes of many of the holes, but I never thought they intruded on the experience. Crooked Tree is a par 71. From the back tees, Crooked Tree stretches to 6712 yards and plays to a 72.8/136. The middle tees measure 5,993 and play to a 69.9/125. Given the carries the the course sometimes requires, playing the proper tees is critical to enjoying the day. Conditions on the day I played were what you might expect from a resort course. Greens, fairways and tee boxes were all in great shape. My only complaint was that some of the areas that you had to carry were overgrown. The course could have used some trimming of overhanging branches. Greens fees for Crooked Tree are in the $80 range, including cart (and you REALLY need a cart with the elevation changes). That’s in line with many resort courses in Up North Michigan. The Crooked Tree Golf Course Review was first published January 3, 2016 from notes taken during my summer 2015 visit. More photos of Crooked Tree follow. The second at Crooked Tree is a 170 yard par 3. The fifth at Crooked Tree is a 187 yard par 3. Crooked Tree's sixth is a 525 yard par five. The eighth at Crooked Tree is a 182 yard par 3. The tenth at Crooked Tree is a 468 yard par 4. The eleventh at Crooked Tree is a 170 yard par 3. The twelfth at Crooked Tree is a 170 yard par 3. The fifteenth at Crooked Tree is a 176 yard par 3.